I’ve never shopped for a car, nor gone for a test drive in one. It seems like such a great concept though. Cruising around in various cars you may or may not buy. Deciding whether or not you love the custom leather, heated seats and turbo engine. I think my criteria for choosing a car would be rather superficial though, mostly based on cuteness and gas mileage. Now a sewing machine is another story. While styling is always a priority for me, performance is key with my sewing equipment. Especially now that sewing and teaching sewing is my business. 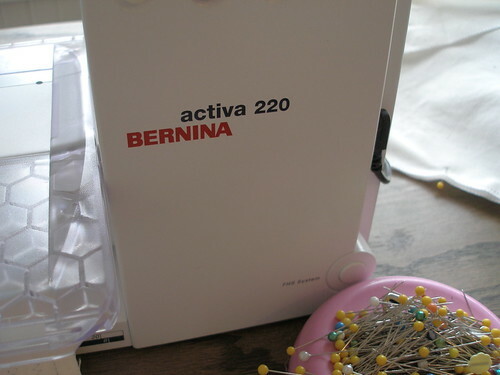 Right now I’m lucky enough to be doing a test drive on a Bernina Activa 220. I’ve heard only wonderful things about Berninas and I can already see why. My first impressions are impressive. First off, the machine is quiet. I’ve never heard a bobbin wind so quietly and smoothly. The Activa sews strong, steady and with the most precise stitches I’ve even sewn. 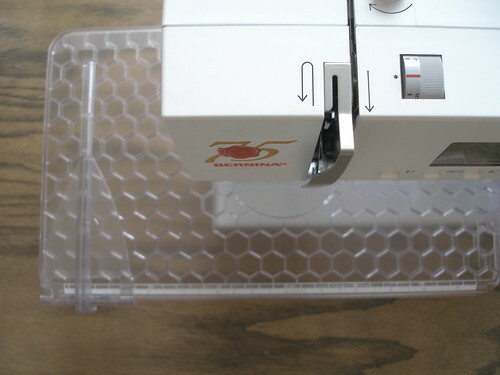 There is an optional sewing table which give you a larger surface to sew on. This machine is computerized and so far has been very intuitive to use. I’ve yet to tap into all the features and nuances of the machine. I’m working on dress 10 right now so I’ll report back with more details. Please keep us all posted about these new machines- exciting! !